QirraSound’s technology comes from the industrial segment but also with experience from the audiophile industry. We deliver standard loudspeaker systems for the audiophile segment, but also “custom design”. 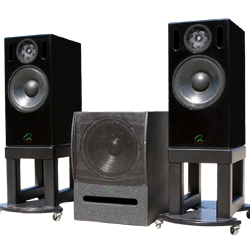 The loudspeakers have a very high fidelity and can compete with “the best amongst the best” according to tests performed in the USA.